This is not only for the Internet Explorer download history, it is also a solution for the Google Chrome and Firefox, Third-party Browse use also by default this folder under Windows 10, 8.1 and 7! 1.) 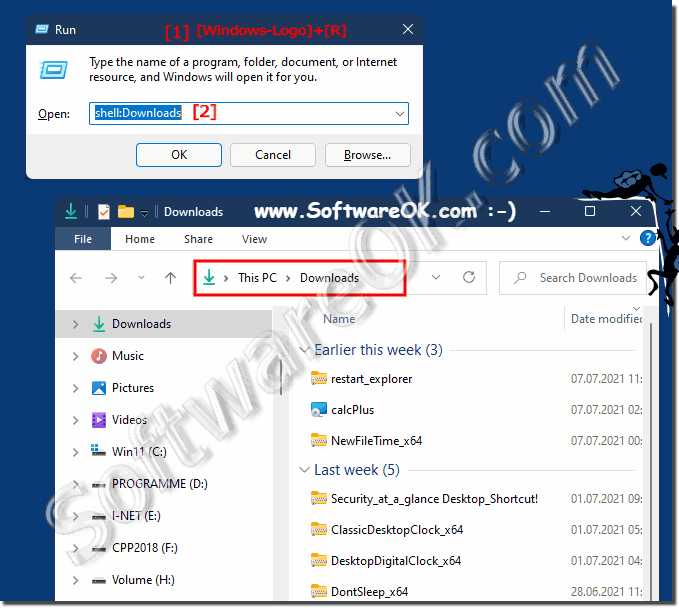 ... Open the Default download Folder in Windows 10! 2.) ... Open Download History in the internet browser! 1.) Open the Default download Folder in Windows 10! Tip: shell:CommonDownloads is all user download folder! (Image-1) Default Download-Folder in Windows 10! 2.) Open Download History in the internet browser! Start the for example MS-Internet Explorer and the keyboard shortcut [Ctrl]+[J] to see the download history. Info: The keyboard shortcut [Ctrl]+[J] is also for Google-Chrome and Firefox! (Image-2) View Download-History in Internet Explorer! Where are my downloads in windows Question! Anyone who likes to work on the Windows 10 operating system and wants to downloaded files from the Internet! By default, the downloads are stored in a separate folder called Downloads. A shortcut is also available in the Windows 10 Start menu! Windows-10 - FAQ-48: Windows 10 i downloaded a program and cant find it?